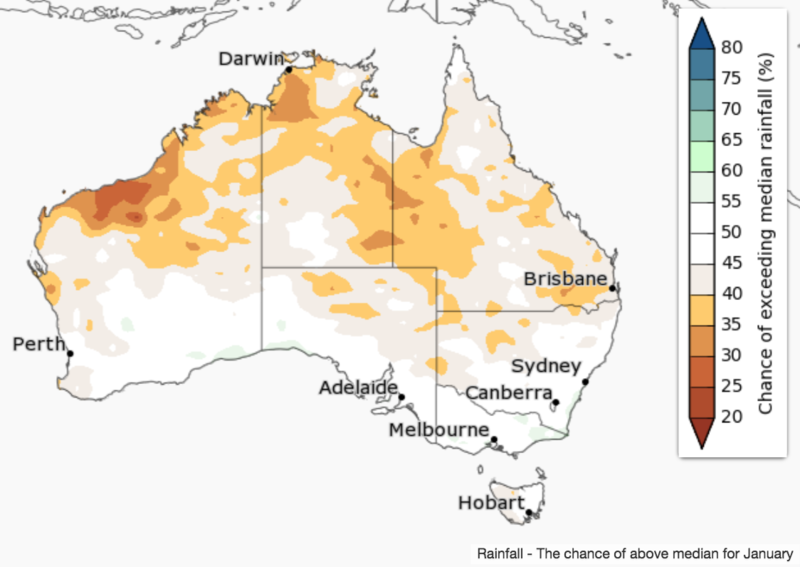 December to February is likely to be drier than average for large parts of WA, Queensland and the Top End of the NT. 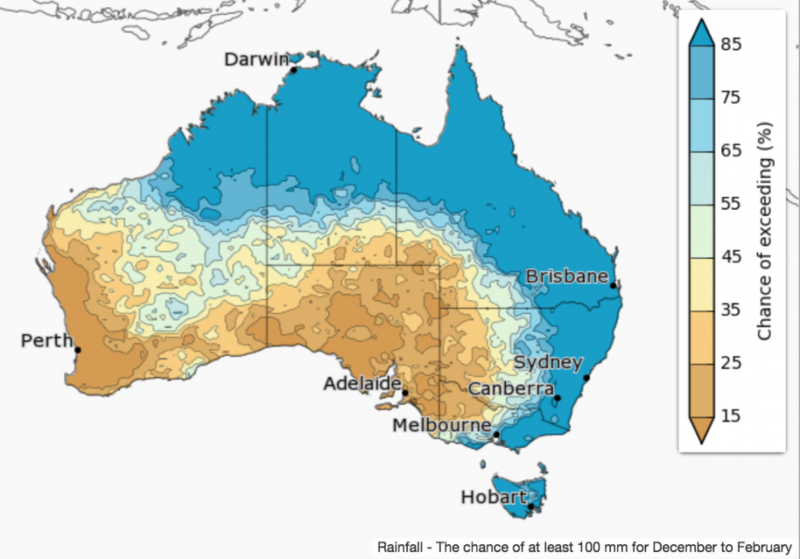 For the remainder of the country, there are roughly equal chances of a wetter or drier three months, i.e., no strong tendency towards a wetter or drier than average season ahead. This pattern is fairly typical of a summer El Niño event. 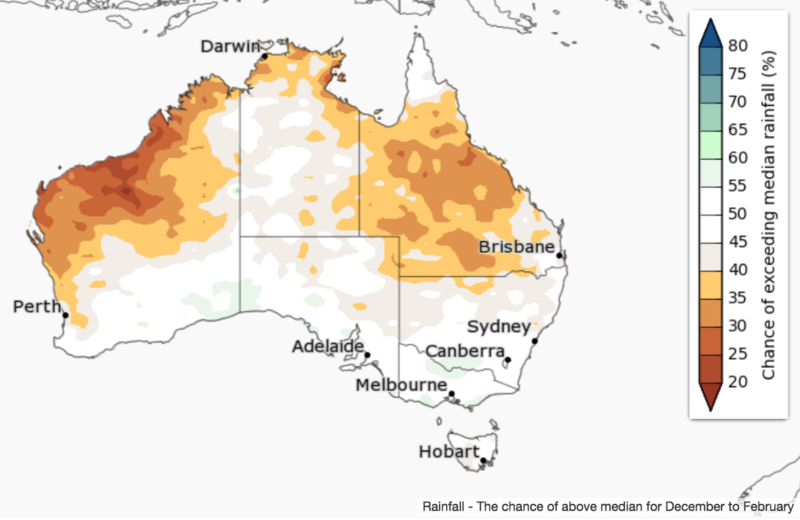 December is likely to be drier than average for most of western WA, and scattered parts of the northern NT and northern Queensland. 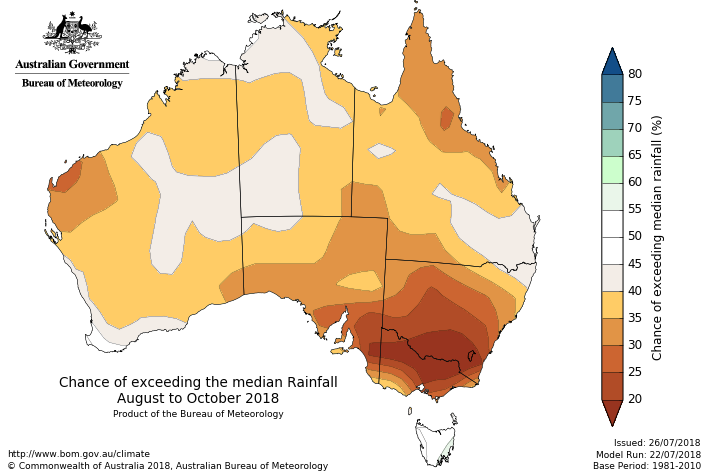 Small areas of central Australia and the Eyre Peninsula in SA have a weak tendency towards a wetter than average month. Historical outlook accuracy for December to February is moderate to high across large parts of the country. However, much of the southern NT, western Queensland, and large areas surrounding the Great Australian Bight has low to very low accuracy. See map for more detail. Summer (December to February) days are very likely to be warmer than average, with probabilities exceeding 80% for almost the entire country. Along the far southern mainland coast, the chances of exceeding median daytime temperatures is closer to 70%. Summer nights are also very likely to be warmer than average across most of Australia, with chances of warmer than average nights exceeding 80% over most of the country. Far western WA is more likely to have cooler than average summer nights. 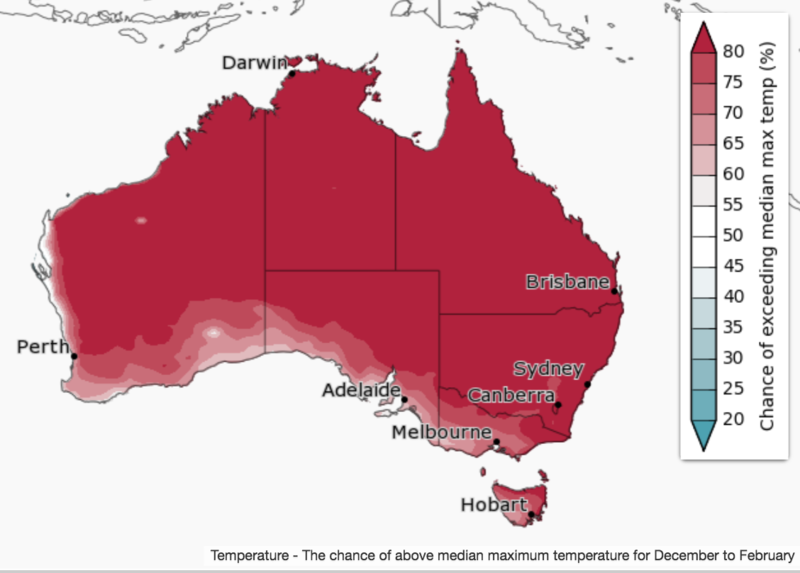 Historical accuracy for December to February maximum temperatures is high across most of Australia, but low in the central NT, and western Queensland. Minimum temperature accuracy is moderate to high for most of Australia, except the central NT and central to western parts of Queensland, where accuracy is low to very low. 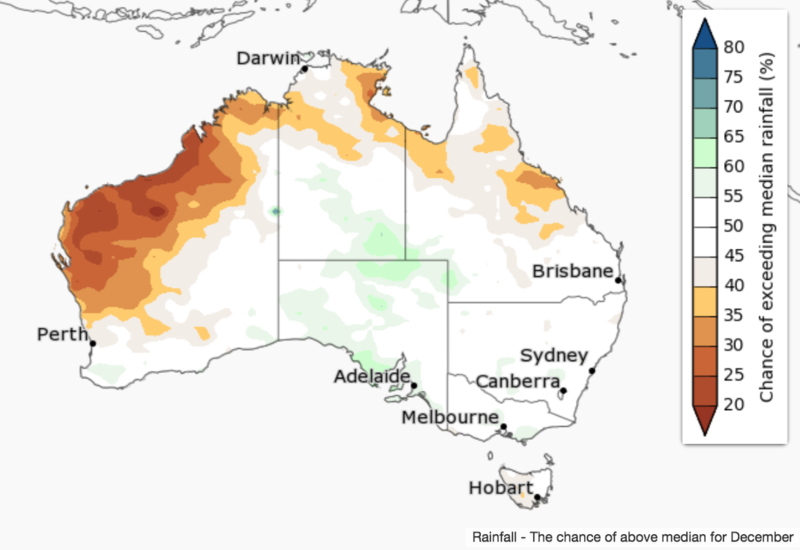 Maps below compare BOM’s rainfall forecast for March 2018 to May 2018, issued in late February 2018, with actual rainfall deciles recorded over the March-May 2018 period.